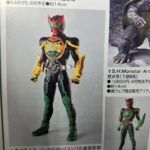 Tokunation › Kamen Rider › S.H.Figuarts Shinkocchou Seihou Kamen Rider OOO TaToBa & TakaKiriBa Revealed! 6480 yen, will release in August 2019. One more main rider for the collection. Oh wow I did not think this would happen right away. Glad to see another rider get the renewal treatment will be getting this. Likely because it was used in the first episode. It's far from the most recognizable OOO form, but, just as it did in that first episode, it does a good job illustrating the gimmick. 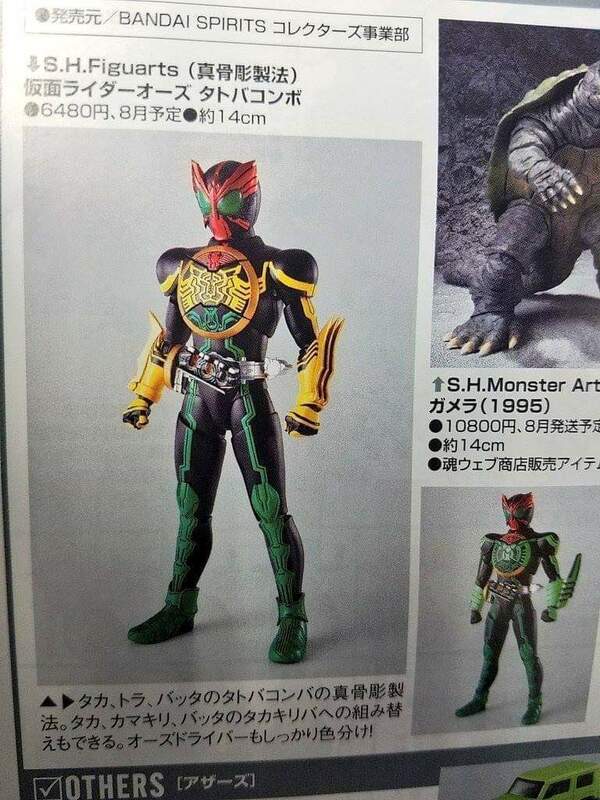 SHF actually doing a gimmick like this is a pretty huge, cool deal. The figure changes forms? I thought TakaKiriBa was a separate release? Really looking forward to finally getting a Tatoba. And this one's looking great.